Park Forest was not yet incorporated as a village when the Illinois State Library began demonstration bookmobile service in 1948. The village was incorporated on February 1, 1949. In June 1951, a volunteer summer library circulating state-owned books was established by the Community Council to supplement the bookmobile source. On December 8, 1951, residents had their first opportunity to vote for tax supported library service. Park Forest voted overwhelmingly to create a district library, but the unit rule election law permitted the much smaller negative vote in the surrounding unincorporated areas to defeat the proposal. By September 4, 1952, the volunteer library was located in the temporary Forest Boulevard School at 323 to 337 Forest. The outcome of the election meant the end of state supported bookmobile service, but the Community Council continued to sponsor the volunteer library. With an all volunteer staff and a collection of only 3,000 state-owned books, the volunteer library was soon lending 400 books a week to residents. The Community Council dissolved in 1953 because many service organizations had been chartered which took over its public service functions. The Park Forest Library Association was formed in September 1953 to insure the continuance of the volunteer library. In June 1954, a group that grew out of the library association formed the Committee for a Park Forest Public Library and began to plan for a referendum to establish a tax supported village library. On March 26, 1955, the village residents voted 1,149 to 136 in favor of the proposal (a margin of 7 ½ to 1). A Board of Directors was elected. On November 28, 1955, the tax supported library was opened in Village Hall. Miss Leona Ringering, who had been involved with the Illinois State Library in advising Park Forest on opening a library, was hired as the Head Librarian of the Park Forest Public Library in November 1955. She remained as Head Librarian until July 1975. Under her direction, the first library building and its two additions were built, Suburban Library System was formed with Park Forest serving as a co-headquarters for many years, and the groundwork was laid for the library to become automated. A bond issue to construct a $160,000 library building was approved on May 11, 1957, in a combined referendum election which included several important structures in the village. Ground was broken on September 15th. The building program was the subject of an exhibit at the American Library Association Conference in San Francisco in July of 1958. The new building designed by Perkins & Will was dedicated on September 28, 1958 and opened for service on September 29. In preparation for the opening, more than 200 Community Center teenagers with the assistance of the Jaycees moved more than 7,000 volumes from Village Hall to the new facility. The Park Forest Woman’s Club, along with clubs and citizens provided floral decorations for the dedication. The Park Forest Rotary Club donated a phonograph and a collection of recordings to the library. The Lions Club donated an exhibit case. To open the new facility, Village President Robert Dinerstein snipped a ribbon of book jackets. The 5,000 square foot building, with its entrance on Lakewood Boulevard, contained a reading room with space for 30,000 volumes, an office for the administrative librarian, a workroom, staff room and small kitchen facilities. The new library was open 48 hours a week. On February 17, 1961, a bond issue of $230,000 for an addition to the library was approved by a vote of 1,460 to 735. Construction began in July 1961. The first addition to the library was dedicated April 28, 1962. The capacity of the new library expanded to 50,000 volumes. A periodical collection and other services were added. The Park Forest Public Library had the highest book circulation per capita in Illinois, with 350,000 volumes circulated in 1962. In January-March 1966, the Park Forest Public Library joined the Suburban Library System and was designated a co-headquarters library. This designation garnered a strong collection for the library in the 700-999 Dewey Decimal area provided at System expense. On October 19, 1969, the second building addition opened to the public. This addition included the reference area, adult reading room, stacks and 8-9,000 square feet of basement space. Between 1969 and 1975, the Park Forest Art Center was housed in part of the lower level. In May 1974, an elevator was installed and 2,500 square feet of the lower level was converted to library use. In September 1976, Illinois Theatre Center opened in the lower level, where it remained until 2000. Semi-annual book sales began in January 1975. Circulation went on-line in July 1975. 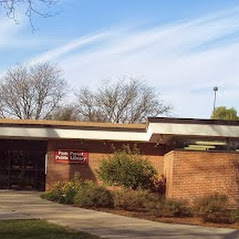 The Friends of the Park Forest Public Library was established in the Fall of 1976. In July 1975, Elizabeth Ohm came from Springfield, Illinois to become the second Head Librarian. From January 1980-December 1981, she directed the library sponsored “OH! Park Forest: An Oral History of Park Forest” which set the groundwork for the library’s Local History Collection. She also instituted Lively Arts at the Library. She continued the automation of library services. On September 1, 1983, Elizabeth Ohm retired as Head Librarian and moved to Arizona. Neal Ney was hired in Fall of 1983 as the third Head Librarian. He had been the director of the Kankakee Public Library and had also served at Chicago Public Library and the Chicago Historical Society. Mr. Ney served until July 30, 1992, going on to serve as Director of the Evanston Public Library. In May 1984, the Olympia Fields Public Library Board of Directors began contracting for library service through Park Forest Public Library. In April of 1989 the residents of Park Forest voted by a 3 to 1 margin to increase the library’s tax rate to $.60 per $1.00 of assessed valuation. Barbara Flynn began as Head Librarian on February 1, 1993. She came to us after many years of service at the Chicago Public Library and left in 1999 to become the director of the Villa Park Public Library. On March 11, 1993, after a successful Gateway to Information Campaign, the reference department was able to open a Local Area Network to provide computerized information stations for public use. Partnerships with schools and community organizations continue to provide additional resources. Marcella A. Lucas was promoted to Administrative Librarian, after a long career as Director of Technical Services and Acting Administrative Librarian, in June, 2000. The Park Forest Public Library continues to grow and to evolve with the communities it serves. The community, which has always been library-oriented, continues to support fund-raising efforts and to provide many active volunteers who help the library to operate at a high level of public service and collection quality. The Park Forest Public Library is open 63 hours a week. It has grown to have a book collection of over 174,000 volumes. Barbara Byrne Osuch was hired as Library Director in the Fall of 2003. 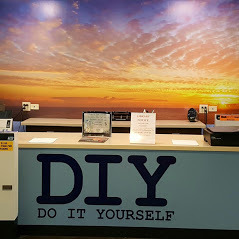 Under her administration, the Park Forest Public Library started producing the Forest and Fields quarterly newsletter to inform patrons about programs and services. The audiovisual collection has been expanded and now includes DVDs, books on CD, Playaways (books in mp3 format), and video games. 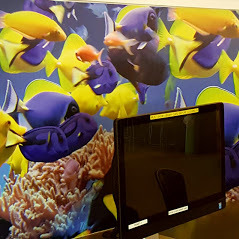 The Family Technology Center opened June 2004 from a grant received from the Illinois State Library. 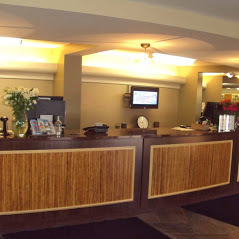 The room which had previously held photocopiers was converted into two separate themed rooms. Parents with small children can work together in a comfortable environment that fosters a model of productivity for both parent and child. Families work together to access the Internet, productivity software, and multimedia information resources with a confidence level enjoyed by those who have these resources at home. The Library has made many technological improvements. In 2006, the Library became a Wi-Fi hotspot for those who bring in their own laptops. In 2008, the Library improved Internet access by running fiber optic cable to the building. The Adult Services Department has 24 public Internet computers, which patrons may access with their library cards. In 2008, laptops were purchased so that the Library may offer free computer classes while the library is open, including nights and weekends. The Youth Services Department unveiled the Peek-a-Book kiosk in 2007 and added an Early Literacy Station, Bilingual Spanish Edition in 2008. The Library’s new Web site went live in 2008, offering a streamlined and professional new look. The building has undergone some changes. On January 5, 2007, the basement flooded. Since then, the book sale area moved upstairs, offering a book sale everyday of only the nicest materials. In 2008, the Library made many improvements including roof repairs, replacement of the front doors, new landscaping, and improved space planning. The library completed a renovation of the interior in January 2011.